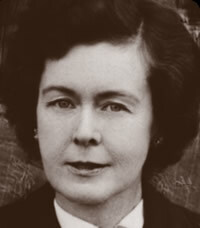 Priscilla White pioneered research into diabetic woman during pregnancy, which led to the White Classification being used to assess diabetes in pregnancy. The classification was based on age at onset of diabetes, duration of disease and the presence of atherosclerotic vascular disease and renal complications. This is still used today to distinguish between gestational diabetes and existing diabetes before pregnancy. White was hired by Dr. Elliot Proctor Joslin to work at his clinic in 1924, where she was made responsible for supervising the clinic’s pregnant women and children with diabetes. In 1932, White published Diabetes in Childhood and Adolescence, her first major contribution to diabetes literature. It was the White Classification that established her position in diabetes history, though. The classification allowed a prediction to be made about the course of a pregnant patients with diabetes, and the likelihood of the newborn infant surviving. By the time White retired, the fetal survival rate for diabetic woman at the Joslin Clinic had risen to 97 per cent from 54 per cent. In 1960, White became the first women given the Banting Medal, the highest scientific award of the American Diabetes Association.